The sea is a great teacher. Forever inspiring and unpredictable, nowhere is Mother Nature more in charge. 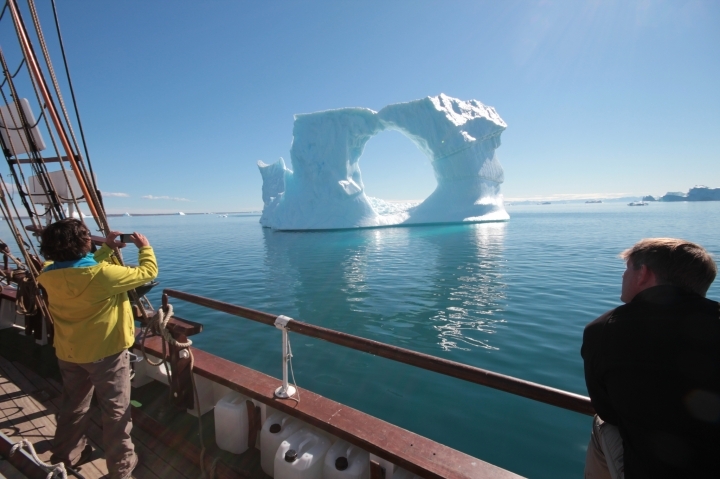 Respecting the sea is rule number one when joining our expedition cruises in Greenland, Norway, Iceland, Svalbard and Canada. With this in mind, the rest will follow - fun, excitement, spontaneity. 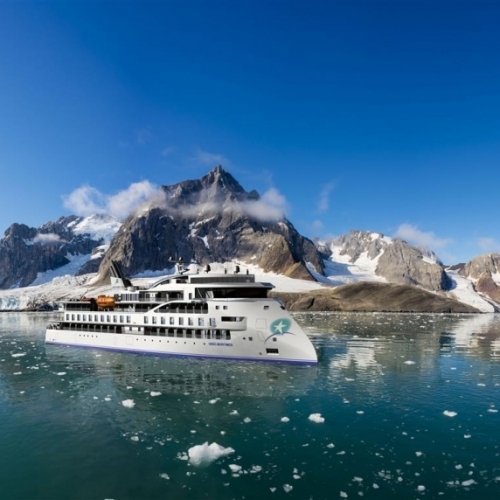 Expedition cruises are aimed at travellers looking for a close encounter with the sea or fjords, led by wildlife experts on board smaller-scale ships. 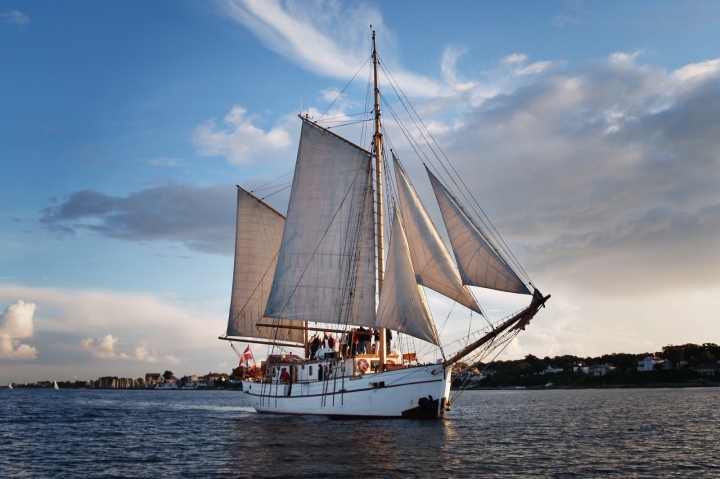 From sailboats, schooners to icebreakers, the ships themselves often have years of history covering many thousands of nautical miles in some of the world’s most remote waters. You’ll depart with a plan, but expect to deviate and embrace your inner explorer as you cruise the ice fjords of Greenland, the islands of northern Norway or the straits of the North West Passage. Be certain that each cruise will be different - governed by wind, weather and even sea pack ice. Your expert crew will ensure safety is a top priority at all times which will sometimes mean that the route will change at short notice. Joining an expedition cruise requires the ability to be flexible and adventurous. Food and lodging will be included. On the smaller sailboats, you may be sharing a cabin with others offer the option for a private cabin. The cruises will include shore landings, which are an ideal opportunity to stretch your legs and spot local wildlife. Some hikes are more challenging than others, so it’s important to chat to our team about the adventure level you’re looking for. The cruises are socially oriented, so expect to get to know your fellow travellers during the holiday. There’ll also be plenty of chances to hone your photography skills and some cruises have wildlife and botanists on board to interpret the view from deck. Travelling on a small expedition ship means to learn, discover and immerse in the unique landscapes of the High Arctic. Breaching whales are a reason stop and wonder, the sight of land a reason to swap the cruise ship for a kayak, zodiac or a pair of hiking boots. Compared to larger cruises expeditioners have time to chat with experts, crew members and chefs about life on board, nature and wildlife. Some small ship cruises even allow you to join in on some basic tasks on board if you wish. Follow the route of early Nordic explorers as you venture westwards from Reykjavik to your final destination St John's in Newfoundland. 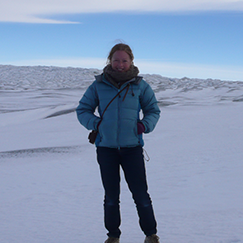 Explore Arctic wildlife and small Inuit communities on stopovers in Labrador, Greenland and finally Newfoundland. 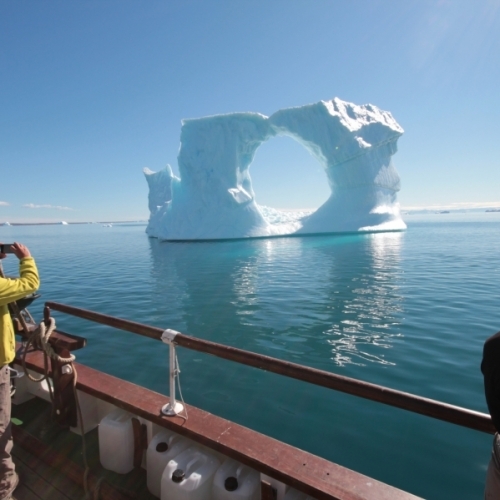 This is the first expedition cruise to include a multi-day stay in Greenland. 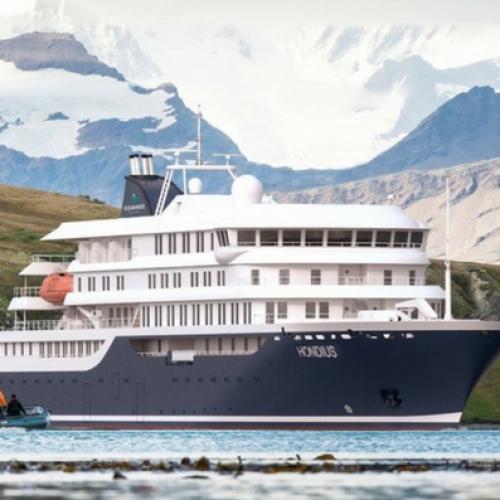 Travellers will explore aboard of the Greg Mortimer, a state-of-the-art expedition cruise ship. Starting in Longyearbyen, the largest settlement in Svalbard, expeditioners follow a northbound course. 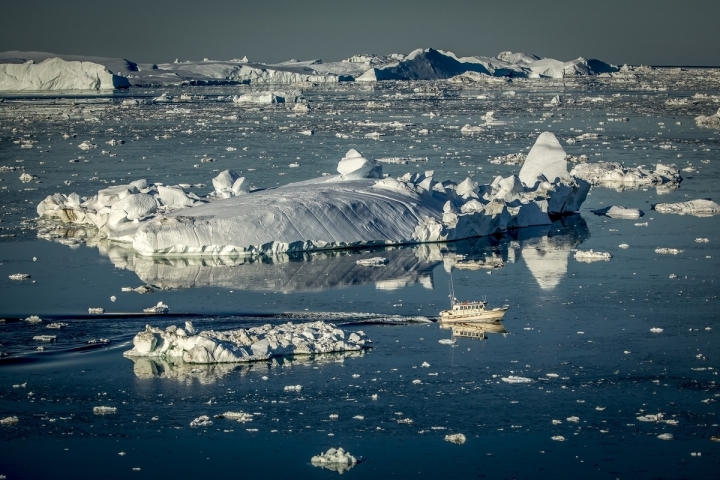 Navigating through pack ice, alongside calving glaciers and steep cliffs travellers will lay eyes on the unique landscapes of the High Arctic. If lucky you might even spot the king of the Arctic-the polar bear. As you slowly circumvent the island group you will join plenty of small guided expeditions, kayak, hike or dive in these pristine Arctic waters. 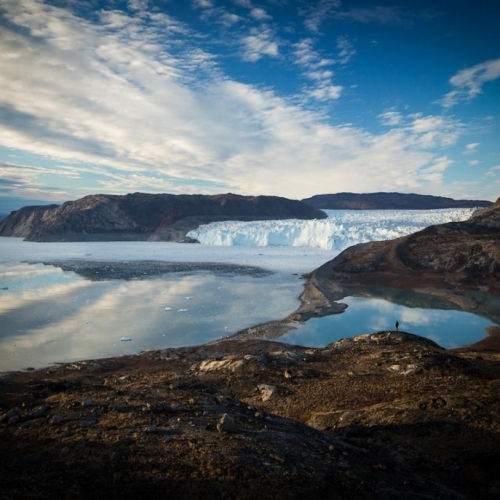 Starting from Norway's northernmost island archipelago, Svalbard expeditioners head towards Eastern Greenland, tracking the footsteps of early explorer Nansen. After exploring the fjords, hidden bays and ancient settlements the Greg Mortimer is headed towards Jan Mayen, an uninhabited volcanic island in the North Atlantic. The journey then continuous to Northern Norway's former Viking haven, the Lofoten Islands and then finally arrives in picturesque Bergen. Set the sails to discover the most remote corners of the globe in true explorer fashion. 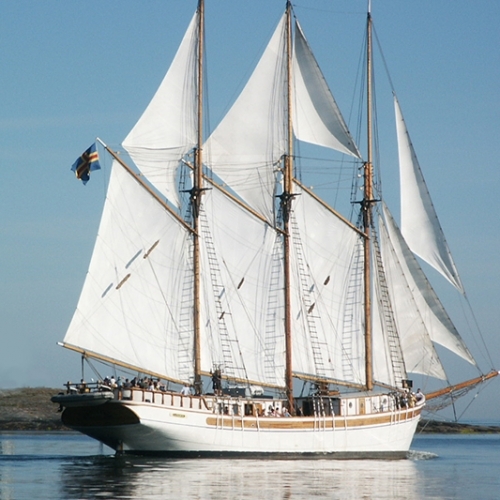 Travel among icebergs, spot wildlife and experience life aboard of a classic sailing ship. 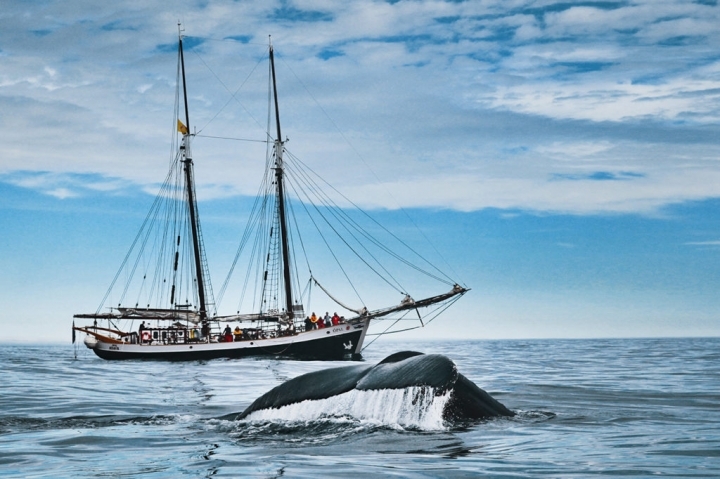 Sail North aboard of the Schooner Linden, Scandinavia's largest wooden ship, to spot Svalbard's wildlife including polar bears, Arctic Foxes and walrus. A maximum of 14 guests will travel overnight. 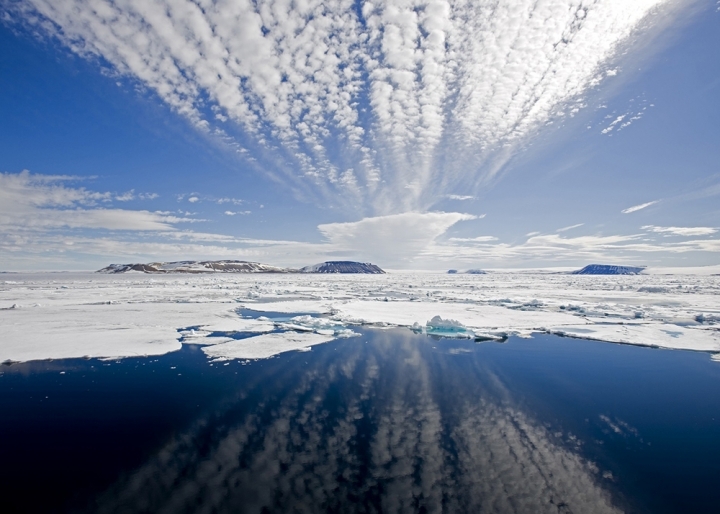 Join a group of 12 passengers travelling to the remote corners of Greenland's fjords. Watch calving glaciers, surreal icebergs glide by as you look out for rare species like narwhals, polar bears and muskoxen. 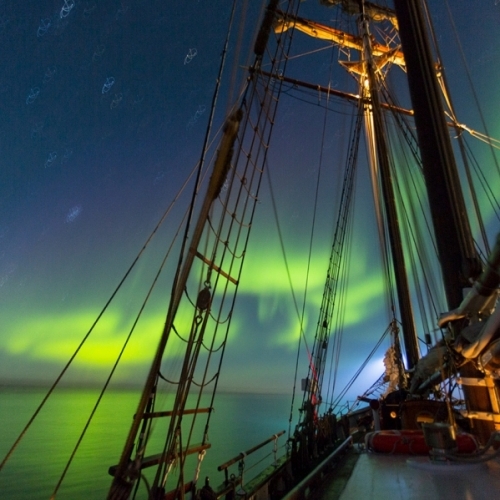 Chase the Northern Lights on a multi-day sailing expedition. Lucky travellers may even spot whales basking under the shimmering light of the Aurora. Cruising the Pacific Northwest from Vancouver, the 82’ S/V Island Solitude, explores the nature and culture of British Columbia’s coast. The eco-friendly yacht hosts a maximum of 12 guests allowing for close, non-intrusive wildlife encounters. The Wheelhouse and dining area offers 360-degree views on the surroundings. Staying true to its name, the S/V Island Solitude anchors in remote island harbours where ancient First Nation settlements, bears, birds and marine wildlife roam about. 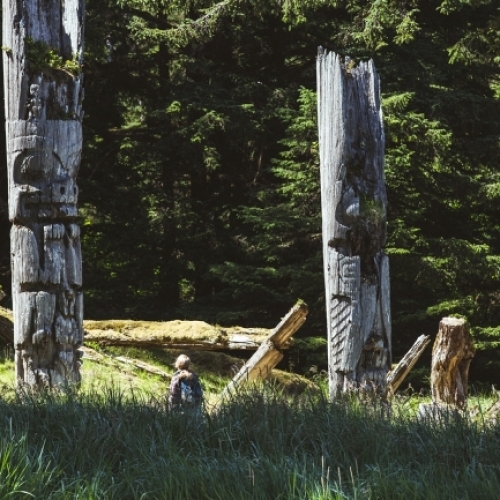 Haida Gwaii, an island group in northern BC, beckons with a biologically and culturally rich heritage. Navigating through over 100 forested islands, guests explore UNESCO- world heritage Haida settlements and observe wildlife including minke and sperm whales and black bears. The relatively loose itinerary explores the Northern parts of the island and stops over at the Haida Heritage Center. This unforgettable cruising adventure is suited to travellers who fancy a slow travel experience with an adventurous edge. As availability is limited we recommend booking early. 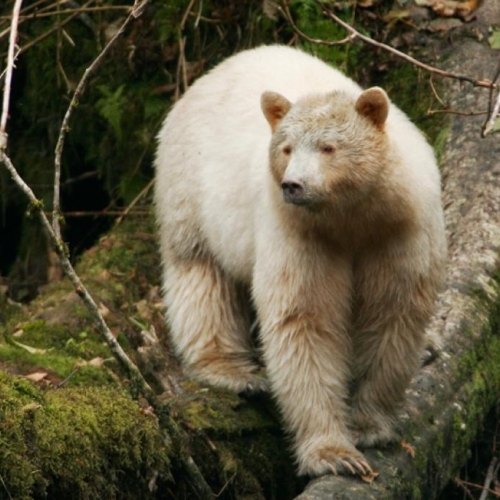 Follow the tracks of the rare Spirit Bear, a rare Black Bear subspecies, roaming the virgin rainforest of British Columbia on this wildlife-driven expedition cruise. Other bear species including grizzlies and black bears are likely to make an appearance on your journey through a labyrinth of lush islands. 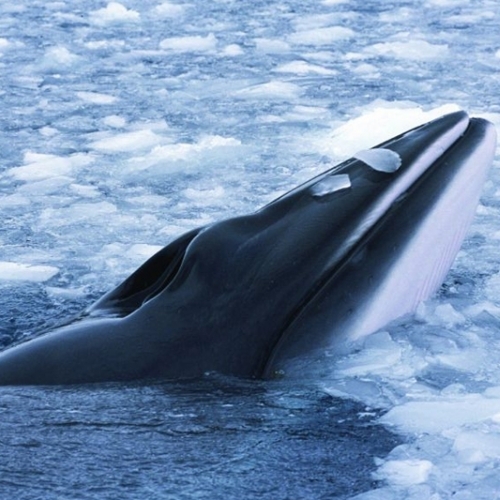 Underneath the water surface humpbacks and orcas frequent the straits and fjords of the Pacific. Explore the small islands surrounding Northern Vancouver Island on the S/V Island Oddysee. The area, renowned for its orca and humpback population, allows for intimate encounters with these gentle giants. If lucky some curious orcas may come close enough for guests to observe their behaviour underneath the water surface. Perhaps travellers may even spot a breaching humpback or a grizzly bear catching the last fish of the season. Launching in summer 2019, the m/v Hondius will offer an active and educational cruising experience for up to 176 passengers. Observation platforms, workshops, lecture and exhibitions rooms educate guests about their surroundings which they can explore first-hand thanks to fast ship-to-shore operation. An indoor RIB embarkation platform allows guests to explore their surroundings at ease. Guided hikes, kayaking, RIB-boat or snowshoeing expeditions are at the heart of the experience with the routes being designed to keep time at sea as short as possible.. Starting from Svalbard's largest settlement, Longyearbyen, the S/V Hondius follows a northbound course. The expedition cruiser will navigate through summer pack ice to the very tip of the Arctic island archipelago. You're travelling to the summer residence of Svalbard's polar bear population, on the pack ice you may witness the king of the Arctic hunt for seals, or a polar bear mother teach her cubs how stalk their prey. A team of wildlife experts will ensure that any potential polar bear encounters will be safe and non-intrusive. This North Atlantic Island Odyssey starting in Aberdeen stops at the Shetland Islands, the volcanic island of Jan Mayen and finally arrives in Spitsbergen. 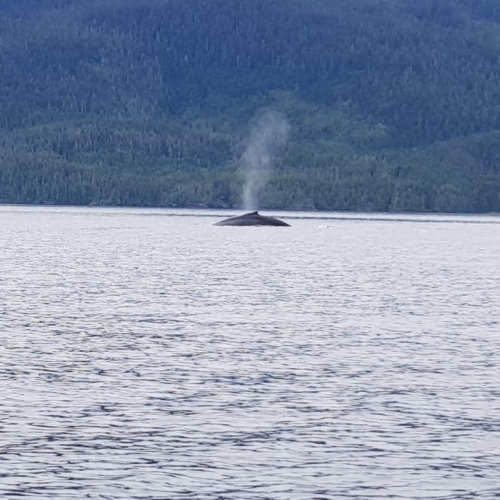 Journeying North, travellers may cross paths with migrating humpback, sperm, orca and minke whales. In the sky above, you may observe iconic bird species including the puffin, Kittiwake and Arctic Tern scan the water for small fish. Since it's nesting season your chances of seeing the birds in large flocks are quite high. You may also hear them before you see them! Hop aboard the sister ship of the Hondius, the m/v Plancius, to fully circumvent the kingdom of the polar bear. 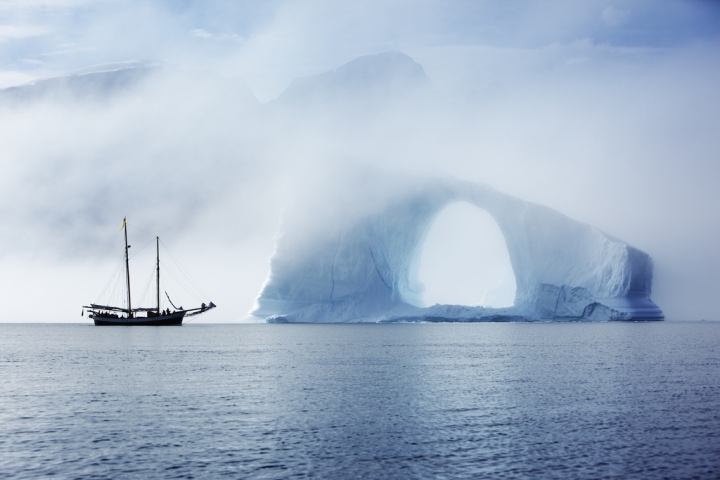 The ship specifically designed for polar conditions ventures into Svalbard's the hidden bays allowing for exciting excursions exploring abandoned whaling stations, calving glaciers or the fascinatingly barren tundra. All excursions are guided, bearing the safety and security of passengers and non-disturbance of the wildlife in mind. It is no surprise that the world's largest island sees sailing is a way of life. Greenlanders turn to the water to connect with nature and travel to remote settlements dotting the rugged shore. 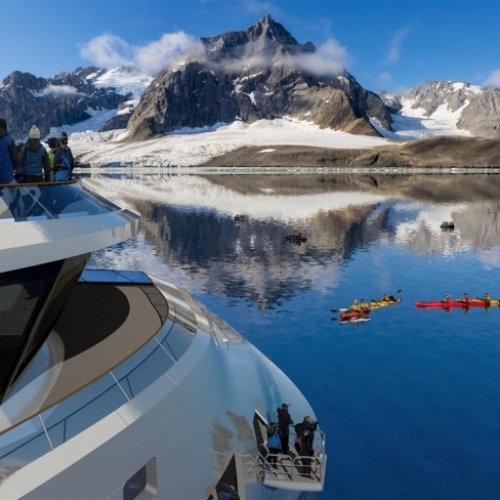 In fact, sailing might be the best way to explore the mighty Greenlandic wilderness, taking you along calving glaciers, icebergs the size of skycrappers and fjords cutting deep into the craggy mountains. Waking up to a fresh view on the majestic landscape each day is great news to photographers, who can capture the many shapes and ice formations from the comfort of their boat. 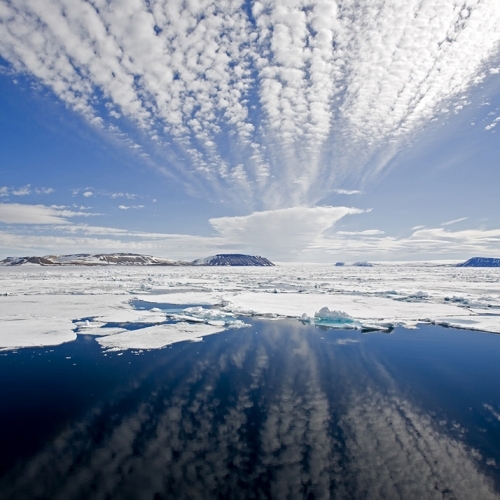 Spitsbergen otherwise known as Svalbard is Norway's largest island archipelago located just 190 miles (300km) south of the north pole is a stunning setting for cruise expeditions. Witness Arctic wildlife including the elusive polar bear in its natural territory as you immerse in the surreal beauty of the landscape. Phone lines are open 09:00 - 17:00 GMT (London). The time for us now is 8:00pm.